Mainly Pinot Noir, with a splash of Chardonnay. Probably the closest to grapefruit campari we've ever gotten. Guava wedges, strawberry garnish and overall happy fruitfulness with slight spritz. No matter how rare sunny days are in your area this time of year, wait for one! This one got true grit, as tannin from the grape skins and the bubbles make it really textural and dry. The usual skin-contact Viognier deliciousness, lush and soft as you put it in your mouth, peachy ginger kind of thing, but count to three and it will give your palate a solid grip. Really playful beast. We really love this vineyard; grown with so much care - no sprays of any kind and a lot of attention to every vine. The results, naturally, never disappoint. It’s most certainly a Shiraz, and a big, dark one, too, albeit very gently so. A great companion for an outdoor adventure, sitting by the fire on a starry night. We love the journey this little one is going through; The 4th year for Fawn and sure thing is - she's getting more mature. 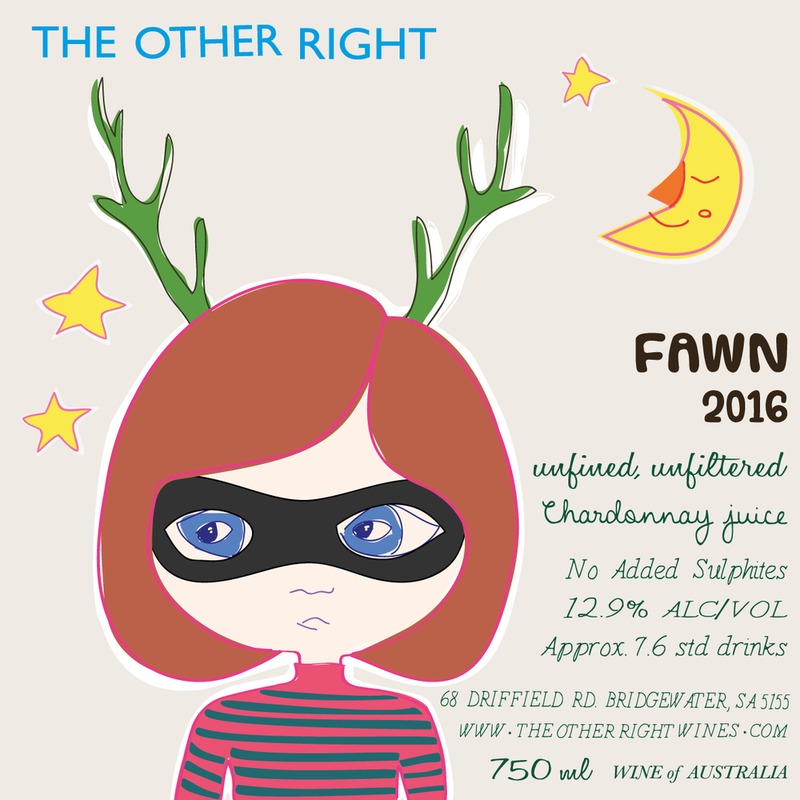 Missed the old-school Chardonnay? So did we. Thankfully, our Fawn turned out that way this year. Stylistically, it’s the 90’s: rich, full, buttery, but still lively and playful. It's a spicy little number full of textural quince, sourdough, black pepper, orange rind and a lick of bergamot - like a sunshine (on your skin) in your glass. Brings a bit of summer into your winter. unfiltered, unfined, and have no added sulphites. from vineyards which are managed by organic and sustainable farming practices.